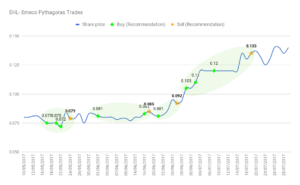 We provide stock recommendations that are ahead of the rest of the market using our mathematical predictive logic that allows us to predict future share price moves. Pythagoras makes investing easy! Buy and sell recommendations are emailed to our clients for their chosen stocks during the day – to be actioned that day. Each buy comes with a price or price range. Each sell comes with timing – not a price. Currently there are 75 Australian listed stocks to choose from and Emeco (EHL) is one of those. 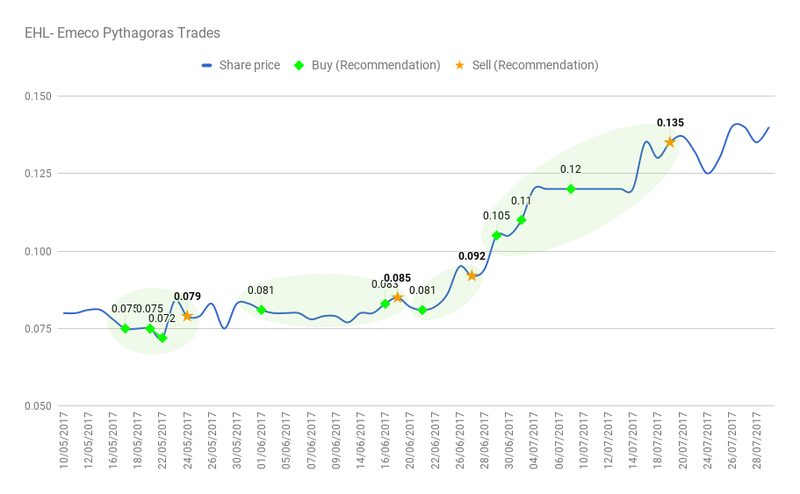 Todays blog will focus on Pythagoras recommendations for Emeco (stock code EHL) in May-July 2017. But first a little background – Emeco makes its money selling, renting and maintaining heavy earth moving equipment to customers in the mining industry in Australia and overseas. It’s geared to the mining/resources industry – which is an interesting place to be right now. In our recent BLOG we explained our view that the missile fired over Japan by the North Koreans would lead to an upturn for the suppliers of raw materials to Japan. The furious activity to ready themselves to defend their people will economically strengthen Japan – as previously predicted in our recent blog “Will there be a war between North Korea and the USA?”. For the suppliers of raw materials to Japan, expect an upturn. Australia is uniquely positioned to benefit in the resources area – both the support industries (Infrastructure Builders) and the miners (big and small). Emeco is one such investment. No-one else can mathematically predict share price behaviour and act in advance of a share price event! Unlike all its competitors, Pythagoras is not re-working pre-existing information. This is entirely new knowledge using logic that has not previously been known, understood or available, which gives you the opportunity to be ahead of the market using our revolutionary mathematically precise, predictive technology. Our predictive technology takes a complex snapshot of each stocks historic performance and measures volatility, allowing us to predict events that will affect the stock price. For Programmed Maintenance it was a takeover predicted and written about in our BLOG – but there are a multitude of events which affect share prices of stocks every day (including Emeco). Pythagoras has simplified investing, making it manageable even for casual investors. We give you back freedom from watching and worrying about the market! Be ahead of the whole market with Pythagoras! You get to act before price sensitive events. 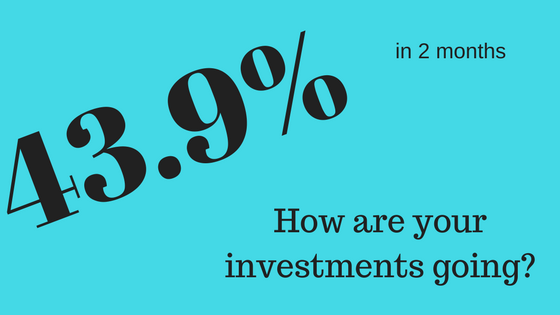 Be ahead of the market with a better return for a fraction of the time and effort. No more tedious annual reports, stock brokers research, economic papers or expensive subscriptions. Don’t be the last to know – get ahead of the crowd using Pythagoras Investment Timing Indexes. Our website has all the information to show you how Volatility can be utilised to alleviate the tension and improve your life when investing. Our 5 year returns are worth looking at HERE. Call or email Brendan on 0433 726 888 to discuss how we can assist to release you from the worry of investing and get you back to enjoying life.